Nelson Peltz is an investor, businessman and founding partner of Trian Fund Management. He started his career as a delivery driver for his grandfather’s food distribution business A. Peltz and Sons. Ultimately, he and his brother ended up running the company, acquiring other companies and listing it as Flagstaff Corp.
Peltz and CFO Peter May left the company in 1983 and bought Triangle Industries which manufactured vending machines. They used the company to make a series of acquisitions before selling the company to Pechiney SA in 1988. Peltz and May’s next company was Triarc Cos, which they used to make opportunistic acquisitions of companies that found themselves in trouble. In 1997 Triarc bought Snapple from Quaker Oats and in 2000 sold it to Cadbury Schweppes - this turnaround play was eventually featured as a case study at Harvard Business School. Peltz, May and Edward Garden founded Trian Fund Management in 2005 to focus on activist investing. The company, now called Trian Partners, manages $12 billion. As a result of his activist investing, Peltz has found himself on the board of numerous corporations over the years. He is currently Chairman of Wendy’s Company (NasdaqGS: WEN), and serves on the boards of Legg Mason (NYSE: LM), Proctor and Gamble (NYSE: PG), Ingersoll Rand (NYSE:IR) and Mondelez International (NasdaqGS: MDLZ). Peltz has built a personal fortune of $1.68 billion during his career. 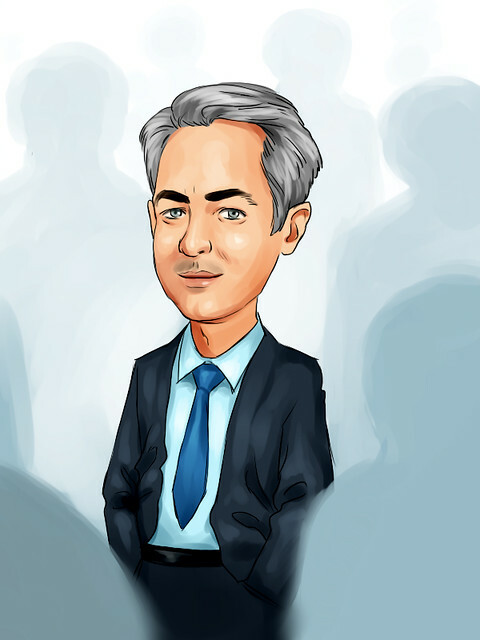 In 2013, Forbes magazine listed him as one of the top 25 highest-earning hedge fund managers for the year. The National Association of Corporate Directors (NACD) has also recognized Peltz as one of the most influential people in corporate governance. Nelson Peltz would be best described as an activist investor. His style of investing has as much to do with operational issues as it does with traditional investment factors like valuation. Unlike many other investors, Peltz rose through the ranks of an industrial company. No doubt he uses this experience when restructuring troubled companies. The first business he ran was in the food distribution and wholesaling industry, and the second was an industrial manufacturing business. Since then, Peltz has never strayed from these two industries, preferring to stick to what he knows (i.e. circle of competence). Trian only invests in companies if Peltz believes he can gain a seat on the board and make fundamental changes to the structure of the company and the way it is run. Over the years Trian has invested in Heinz, Cadbury, Kraft Foods, Wendy’s, DuPont, PepsiCo and Family Dollar. Most of these investments were made with the intention of also bringing about structural or leadership changes at the companies. Peltz’s first high-profile turnaround success was Snapple. The Quaker Oats Company had bought it for $1.7 billion but ran into cash flow difficulties. Peltz then managed to buy the company for $300 million in 1997, return it to profitability and then sell it to Cadbury Schweppes for $1.45 billion in 2000. In 2008, Trian used its holding in Triarc Cos to acquire Wendy’s. Triarc already owned Arby’s restaurants, and the two chains were merged. Arby’s was later sold to Roark Capital Group, leaving Trian in control of Wendy’s. Peltz often uses one company to acquire a larger company, before spinning off the smaller business. Peltz’s strategies often rely heavily on changing the makeup of the board of a company. Sometimes these attempts are successful, but just as often they fail. In 2013 Trian bought a $1.2 billion stake in Du Pont and began pushing for four new board members to be appointed. Though the bid was unsuccessful it did eventually result in the CEO resigning, and the company embarking on a cost-cutting plan. In 2017, Trian bought a significant stake in Proctor and Gamble and pushed for Peltz to be appointed to the board. There was significant initial push back but he ultimately gained a seat on the board in December prompting speculation that the company may eventually split into two. On November 14th, 2017, Nelson Peltz's firm Trian Fund Management filed their quarterly Form 13F regulatory filing. I reviewed the 13F filing to review holdings in Trian Fund Management's 8 stock portfolio. Trian Fund Management's stock portfolio totals $13.0 billion according to the latest filing. The list value of stock holdings is down -2.1% when compared to the last quarter. As a benchmark, the S&P 500 was up 3.9% over the same period. Quarter-over-Quarter Turnover (QoQ Turnover) measures the level of trading activity in a portfolio. Trian Fund Management's QoQ Turnover for the latest quarter was 9.8%, so the firm likely has high conviction in these holdings as indicated by the low turnover ratio. Although Trian Fund Management does not take a large number of positions, the firm makes huge bets on the positions it does take. The average value from each of the eight positions is a sizeable $1.6 billion! Managers with more than $100 million in qualifying assets under management are required to disclose their holdings to the SEC each quarter via 13F filings. Qualifying assets include long positions in U.S. equities and ADRs, call/put options, and convertible debt securities. Shorts, cash positions, foreign investments and other assets are not included. It is important to note that these filings are due 45 days after the quarter end date. Therefore, Trian Fund Management's holdings above represent positions held as of September 30th and not necessarily reflective of the fund's current stock holdings.